Opening times Daily 10am–5.50pm (last entry 5.30pm). 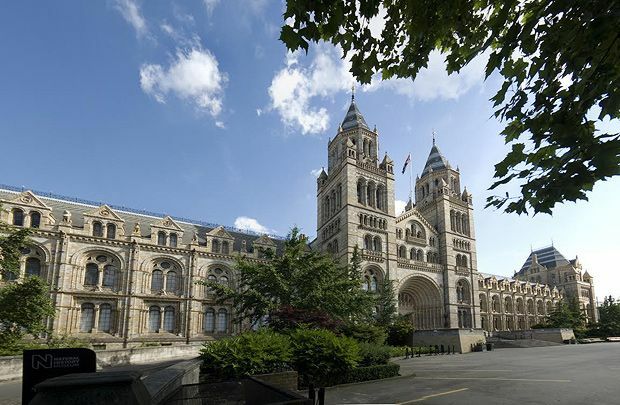 Seasonal times Closed 24–26 Dec.
More than 70 million specimens wait to be uncovered, including the 26-metre cast skeleton of Dippy the Diplodocus in the grand central hall. The museum's four collection zones contain exhibits covering the Earth's natural history, right from its infant geology as a ball of magma to its most recent denizens (including us mammals). Along with all the rocks, critters and fossils, there are four gift shops – including the ever popular Dino Shop – and four food and drink spaces.